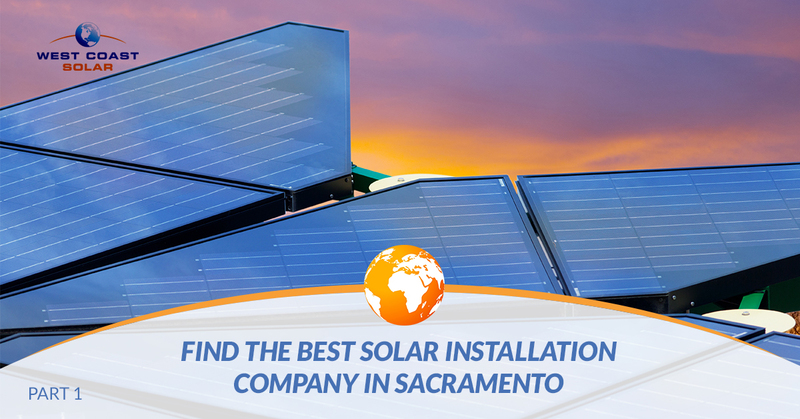 We understand how overwhelming it can be to search online for the best solar installation company in Sacramento. There are thousands of solar companies across the entire United States and a few hundred in California alone. So how do you decipher all the information to choose the right company? In this post, West Coast Solar will share the major indicators to consider to identify the best solar company for you. As you search for solar companies online, you’ll come across a handful you like in particular. They seem honest, friendly, and completely capable. Most importantly the two-to-three companies you’ve chosen all have a 4.5 star rating or above. We encourage you to use companies with high review ratings; however, we also urge you to see how many reviews comprise that rating. You may have chosen three companies that have 4.5 star ratings, but only one of them has more than 25 reviews. The other two have less than 10 combined. What does this tell you? Well, two things. The first indicator is that the company has not been pursuing online reviews, which is a real possibility and not a negative strike against them. The second indicator is that the company doesn’t have that many satisfied customers willing to take time out of their day to leave a review online. The rest is up to you to interpret. The online review rating and quantity of reviews is only one indicator in determining which solar company is right for you, but it’s a great place to start your research. Indicator #2: What does the content of the reviews say about the company? The review rating and quantity of reviews is a great way to find a company at a glance, but you’ll want to dig deeper. The next step is to delve into the content of the reviews for the solar companies you’ve potentially chosen to call. Read through the reviews the companies you’ve chosen have online. What do those reviews say? How do the customers speak about the company? Are there any consistent positive or negative comments across multiple reviews? The content of the reviews will give you a better look at how the company operates, but it’s not the last place to go to find more information on a company before you call them. After more than a decade, West Coast Solar is confident they can help you. Our expert designers and certified solar installation technicians are ready to assist you to make the switch to solar power. We’ve been serving Sacramento for a long time, and we’re always excited to work with homeowners who want to save money, help the environment, and create a better future with the use of renewable energy. Give us a call today! In part two of this series, we’ll share two more indicators to look for when searching for solar companies online.